New Hardwood Floors and Seagrass Rugs - The Full Reveal! 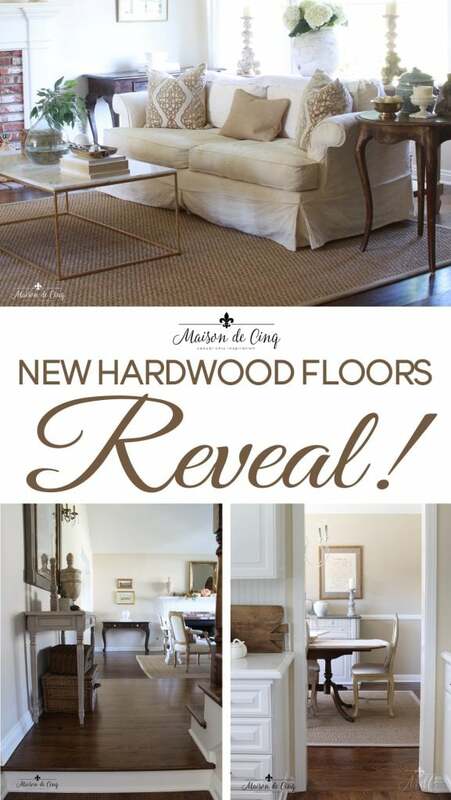 New Hardwood Floors and Seagrass Rugs – the Full Reveal! 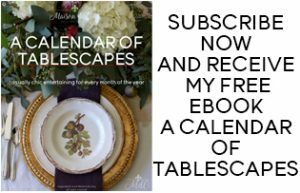 I’m super excited to share this post with you today. I know some of you follow me over on Instagram, and those who do probably know that this past winter we finally took the plunge and ripped out our downstairs carpet and installed hardwood floors. Because of that, I’ve been wanting to do a post sharing the floors for quite awhile now. However, I really wanted to have my rugs in place first, because, let’s face it, rugs can really make the room! And that’s where my problem began. In my case, I had a pretty good idea that I wanted seagrass rugs as it’s something I’ve always loved. (You can read about my love for seagrass here). I needed two rugs, one for the dining room and one for the living room. 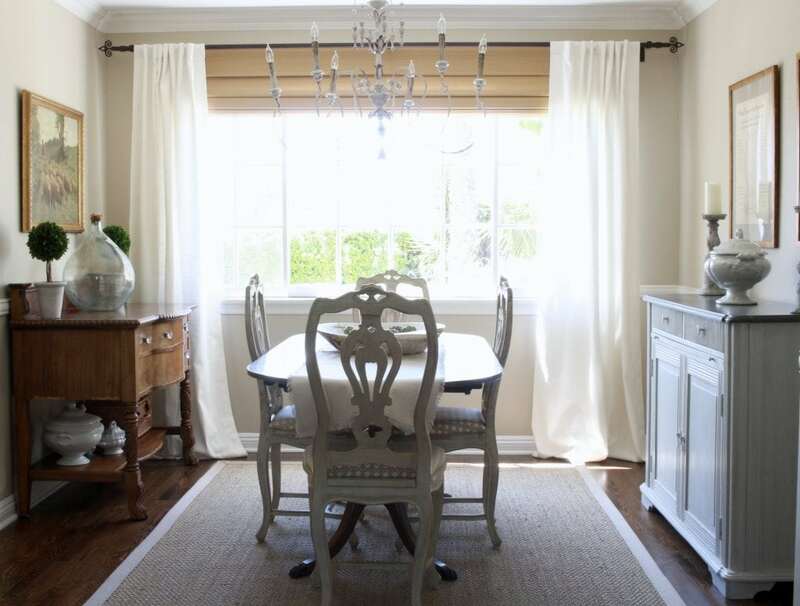 However, when I went to order some seagrass rugs from several online catalog retailers, I found that the standard sizes weren’t really working in my dining room due to the size and the layout of the furniture. They were all either too big or too small. The bigger sizes weren’t working, and I definitely didn’t want to go smaller. But then I found Sisal Rugs Direct, and my problem was solved! 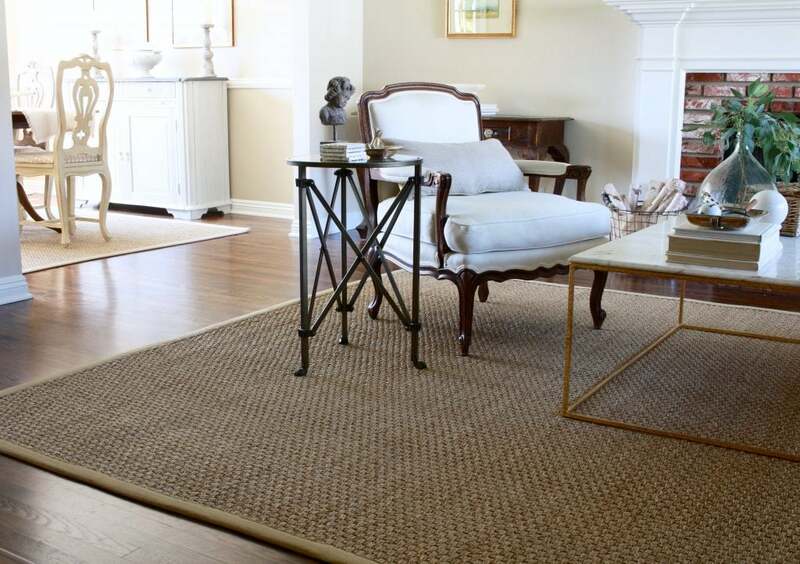 Sisal Rugs Direct sells natural fiber rugs of all types, from sisal, to jute to seagrass. But the thing that sets them apart is that you can order custom sizes. For a very reasonable price, you can literally order any size you need! For those of you not familiar with seagrass, it’s quite different than it’s sisal cousin. For one, it’s substantially softer. Also, and this is a definite plus, it repels moisture. So if you spill something, it is much easier to clean up. Almost any spill can be soaked up with a clean towel without much staining whatsoever. 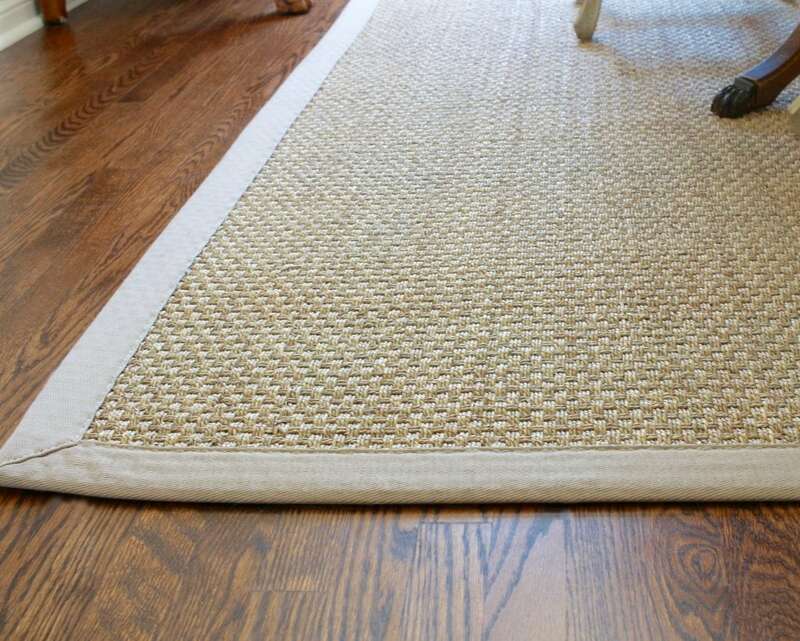 I’ve spilled coffee and red wine on our previous seagrass rugs, and there was literally no stain at all! I do love the look in the room. It added some much needed texture, and the color is so neutral that if I change anything else, like furniture or draperies, the rug can still work. Seagrass looks good with any decor style! 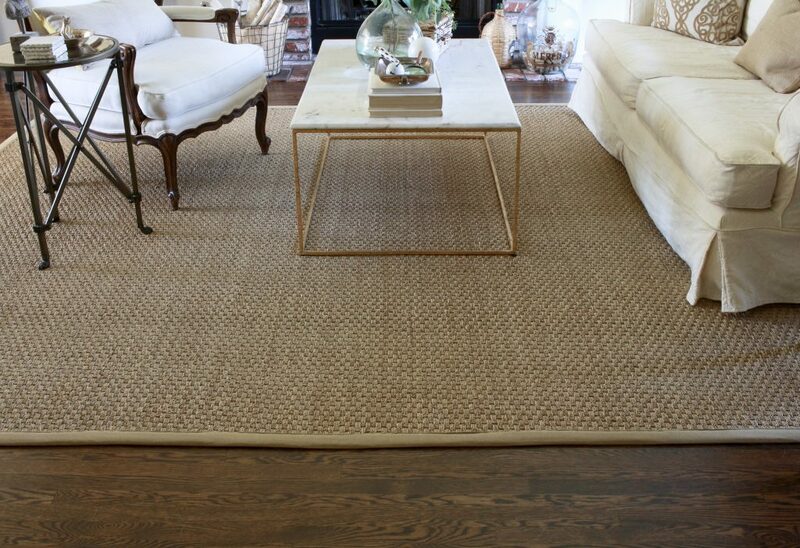 To me there is just nothing quite like the combination of hardwood floors with seagrass rugs! 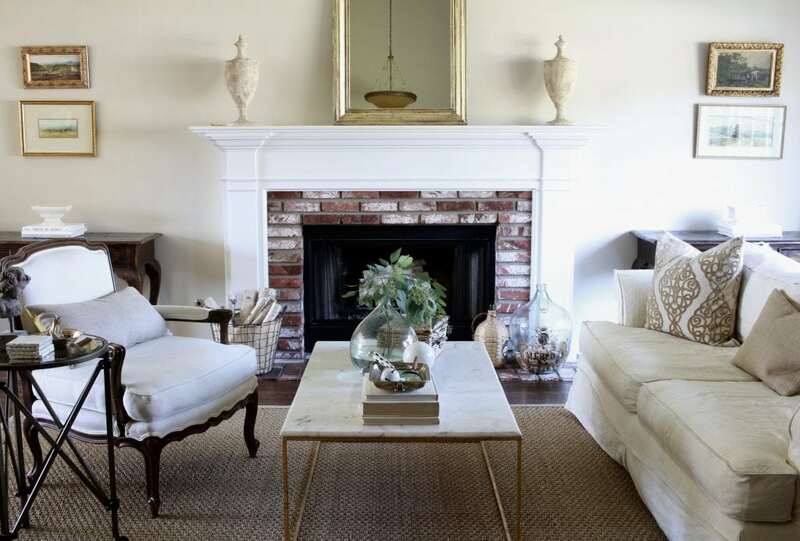 I love the texture that a natural fiber rug adds to the room. 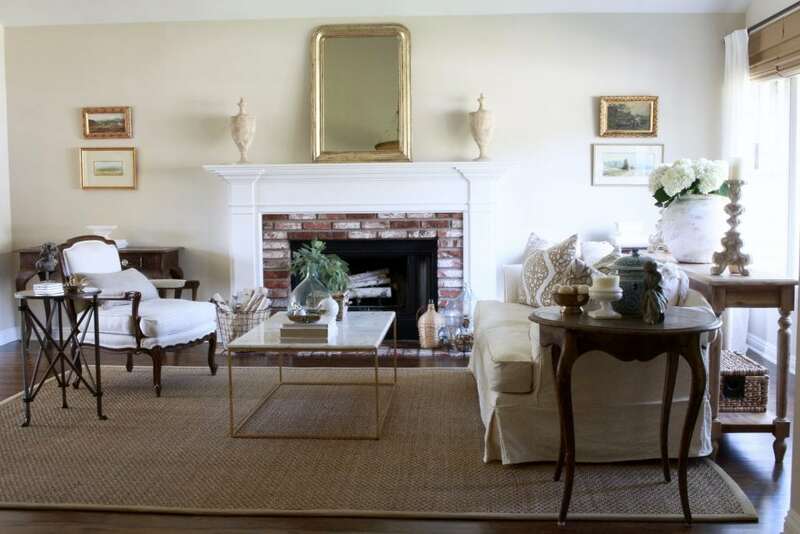 And in my case, because my living room and dining rooms are on the dressier side, I like the casualness the seagrass rugs bring to the rooms as well. 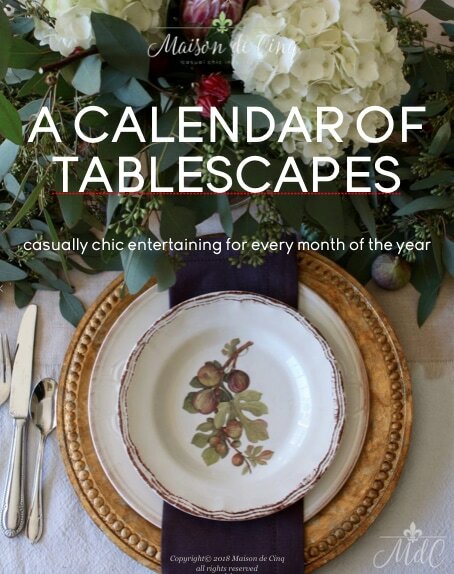 They “dress down” the rooms and create that casual chic look I’m always striving for! As you can see, when you walk in the front door you immediately see the living room, but you also look across an open space where the dining room is visible as well. That was one of the reasons I wanted to go with two matching rugs; the spaces are just too close to have two different rugs going on. Having seagrass in both spaces really connects the rooms and lends some continuity. The dining room is longer than it is wide, so I went with a custom size in here, too. It’s so nice to be able to order a rug that really fits the room! Usually I’m struggling with making the furniture work or worse, dealing with a rug that is too small. This one fits just perfectly! I’ve been very happy with the quality of the rugs as well. They arrived quickly, were packaged well, and have done little to almost no shedding. I went with a natural colored border, though again, they have many colors to choose from. 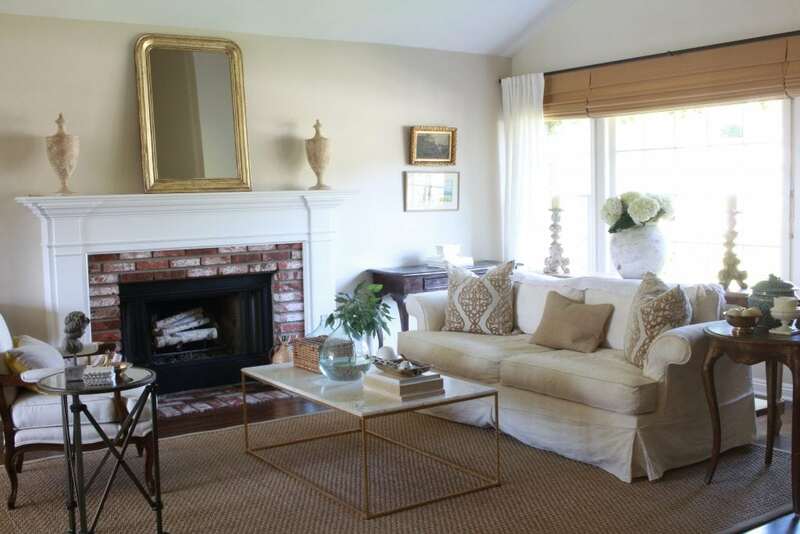 I like the border to kind of “go away” and blend in with the natural fibers of the rug. But you can always do a contrasting border for a pop of color. This is the Pistachio cotton border in the extra wide size. The hardwood floors have literally changed the look of my home over night. Sometimes I can’t believe I lived with the carpet for as long as I did! And now, I have just the rugs I wanted to complete the rooms. The seagrass is practical, long lasting, and beautiful. I couldn’t be happier with how they look! To see the whole collection at Sisal Rugs Direct, you can go here. 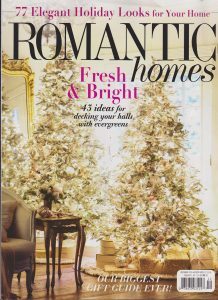 And to see their choices of seagrass patterns and colors, go here. Thank you to Sisal Rugs Direct for partnering on this post. Sheila your hardwood floors look amazing!! 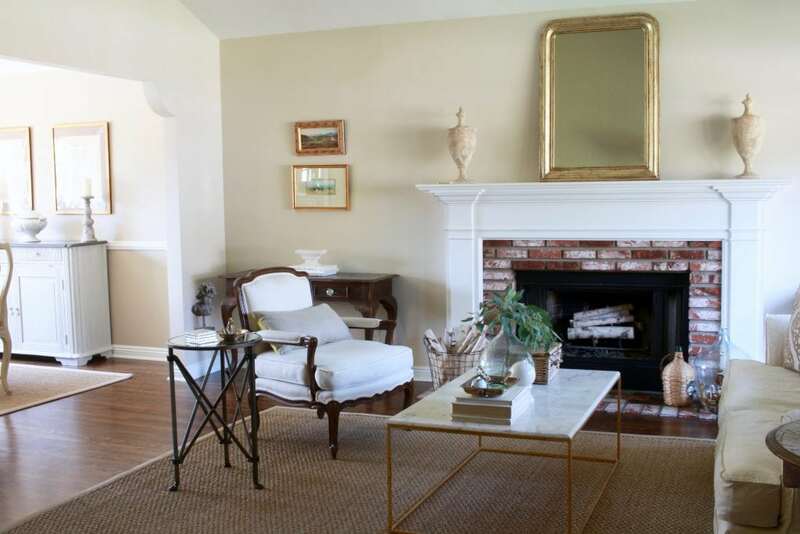 I too have seagrass rugs in both our living room and dining room (and on our stairs!) I adore them, they can take such a beating with kids, dogs, and life, with little to no traffic patterns over time, and you are so right on how well they clean up. 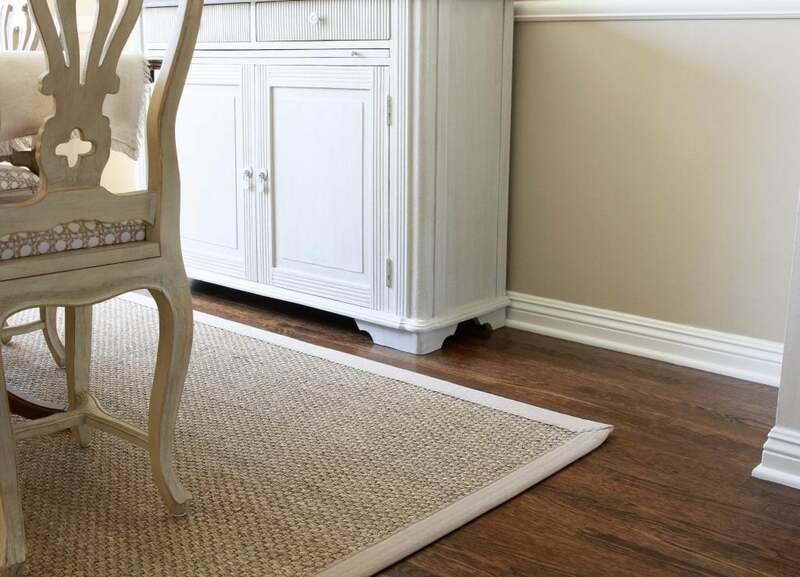 We are a red wine drinking, red sauce loving family who loves to entertain, and had a St. Bernard for many years, and the seagrass rugs are the only ones that have stood the test of time! Your home looks just beautiful with your new floors and rugs. Love it all. Thanks so much Lisa! And I couldn’t agree more, they are such workhorses!! I love the look, but also the practicality. The rugs look beautiful, Sheila! 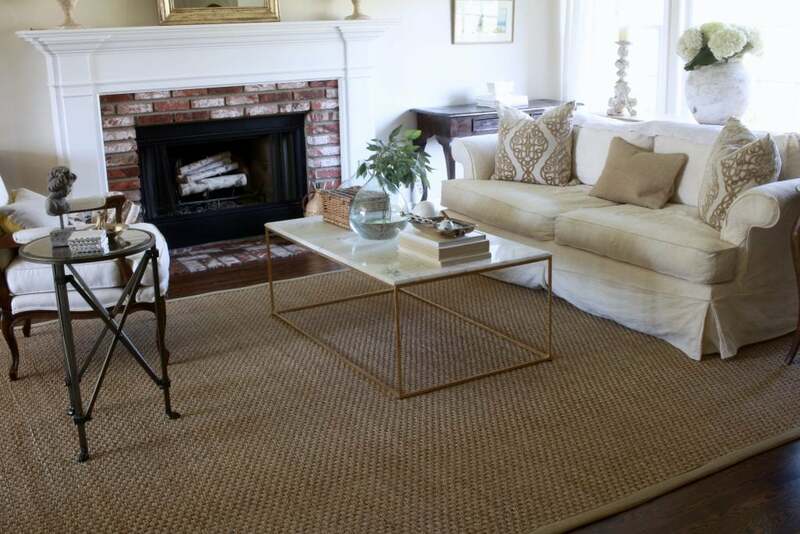 I have been thinking about getting a seagrass rug for my dining room and possibly also for my family room. In the family room, I was thinking about layering another rug on top because the kids still lay on the floor and watch TV in there. So anyway, I clicked over from your links and realized I actually have a similar seagrass rug already in my cart from that company! I have it saved with the Pale Ash border which is very similar to yours. How funny is that? Anyway, obviously I love the look. The rugs look amazing in your house! Great post! Oh my gosh, what a coincidence! Though not surprising considering you and I also have very similar kitchens! I think sea grass would look awesome in your house – and I love layered rugs! It would be perfect Shelley!